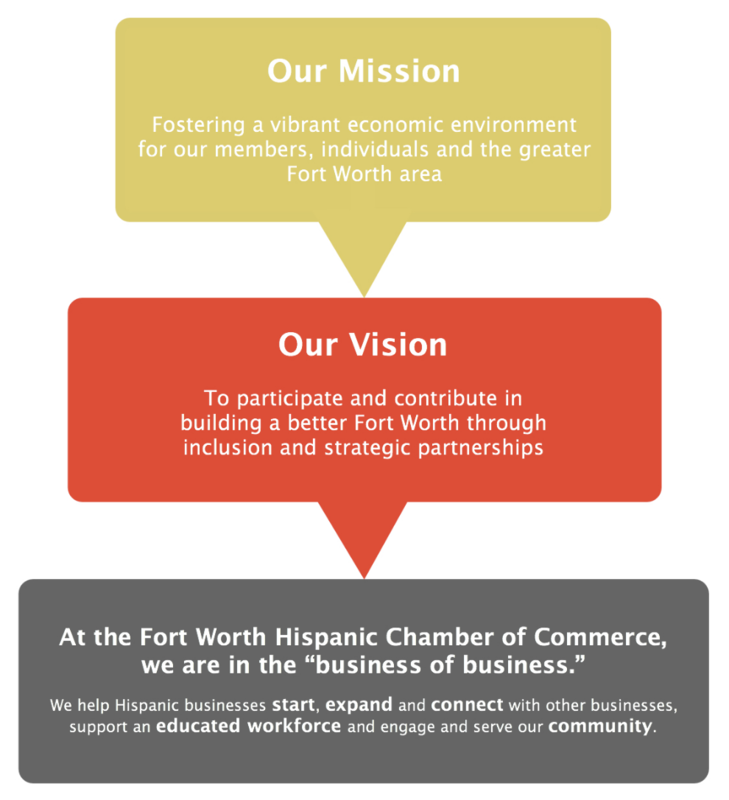 Join us in building a better Fort Worth. 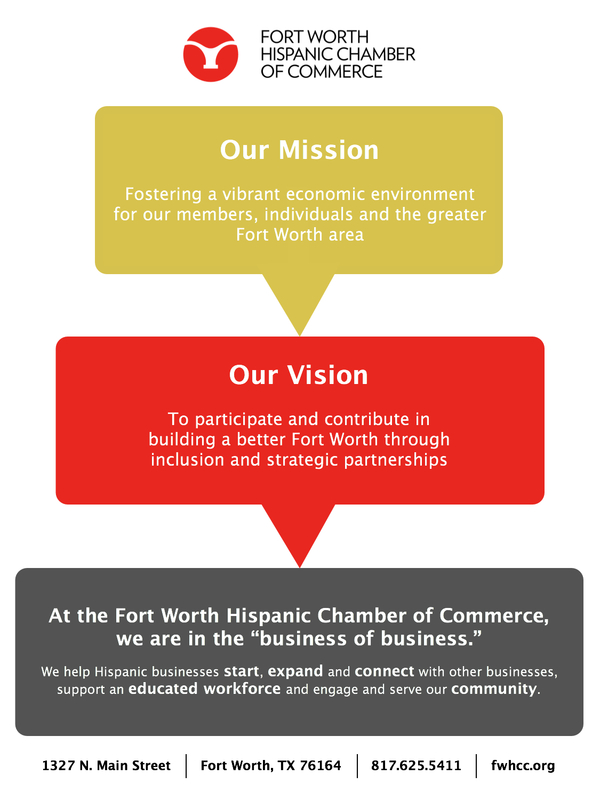 Seize opportunities with the Fort Worth Hispanic Chamber of Commerce. 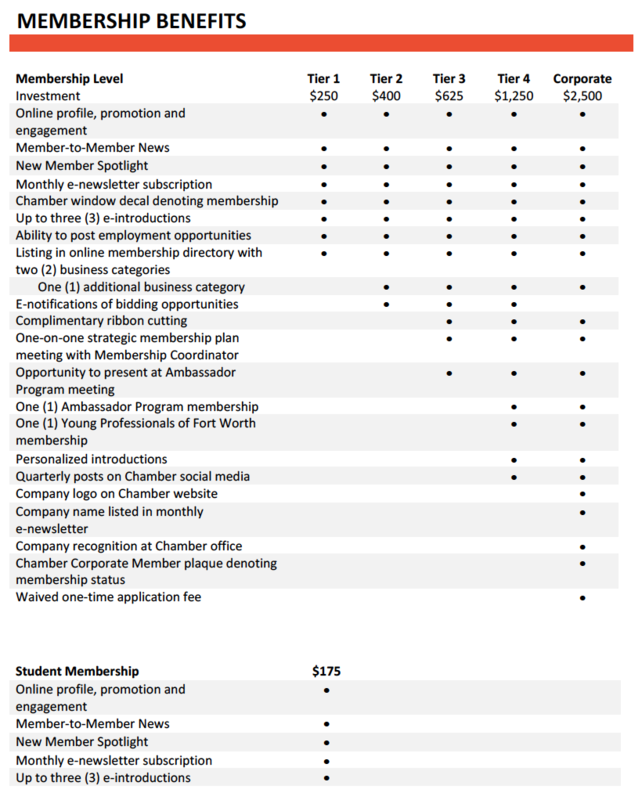 Whether it is business development, networking, leadership, community engagement or educational opportunities that drive you, the possibilities are endless when you join the FWHCC. Submit completed application by fax 817-625-1405 or email to sandra.garcia@fwhcc.org.